Designed in secret by Rebel engineers, the Assault Frigate Mark II frequently surprises Imperial admirals with its speed. It requires less than a third of the crew of the original Dreadnought-class Cruisers that inspired it. In addition to a lethal array of turbolasers, the Mark II features advanced Mon Calamari shield systems that are capable of providing strong temporary boost to its defensive capabilities. This pack includes everything you need to add 1 Assault Frigate Mark II to your game. Much need punch for the rebels, for reasonable fleet costs. For rebel fleet players, this is a great Wave 1 firepower boost. Obviously not holding the firepower of the new MC80, this ship maintains mobility that the MC80 does not. When using the proper upgrade cards, this ship can be impressive in your fleet, whether it is used as a gun ship, or fighter support vessel. A great pick up for rebel fleets. Adds some much needed firepower to the Rebel Fleet. An excellent model, with a well designed stand, it's well worth it's price in points and dollars! This is a must have in your fleet and a great price here at miniature market. 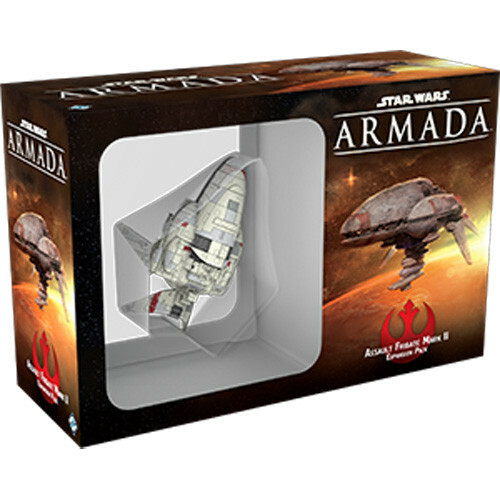 This this is a must have for you rebel fleer for Star Wars Armada. You can build you fleet around one or two of these beautiful sculpts from Fantasy Flight. The upgrades included add variety so you might never fly the same assualt fridate twice. Only negative for this ship is the price is a bit high along with the whole Star wars Armada line, but the game play and the finely crafted models are worth the price. The Assault Frigate MK II might be quite a familiar sight to those of those who played Star Wars Empire At War and I must say it is much more impressive seeing the ship in reality as a miniature rather than as polygons in your screen. Furthermore for fans of the game, Armada somewhat even plays like a real life version of the space combat in that game, also known as the best part of the game. Even with that all aside the fact of the matter is if you as a Rebel player want a chance to fight Imperials in a straight fight, during wave 1, as equals you will need this expansion. The Space Whale is a "Killer Whale"
SW: Armada's core set pitted a beefy Victory Star Destroyer against 2 swift yet fragile Rebel ships. As it stood, the Rebels had to stay away from the front end of the Vic and try to stay alive long enough to pulverize the back end. The Assault Frigate changes this strategy a but. Boasting broadsides attacks, the Assault Frigate (also known as the "space whale") has enough grit to shake it up in the middle of the playing field. It still lacks the hull of the Vic, but it adds more variety and strategy for Rebel admirals. The stand is curved to fit around the bottom section of the ship. The connector was incredibly snug fitting, which had to be 'broken in' a bit before I was comfortable setting it on the table for play (it felt like it would pinch? off and the model would pop off). Otherwise, the quality and detailing of the miniature is amazing - and FFG has does not disappoint! The assault frigate is the rebellion's answer to the imperial victory class star destroyer. 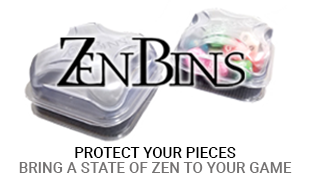 It's tough, well armed, and thanks to the differences between its variants it's very versatile. You can use it as a tough carrier vessel able to brawl with the rest, or a frontline brawler capable of wrecking a victory class if you know how to use it. My only complaint is that the flight stand is a bit weird shaped, but it's a negligible complaint due to it hardly mattering aesthetically. This is a great ship to add to your fleet; broadside firepower that is sorely needed in the rebel fleet. pick it up, you won't be sorry. All Hail The Space Potato! You play Armada? You play Rebels? This ship needs to be in your collection. Its great at commanding lots of squadrons and offers loads of broadside firepower. 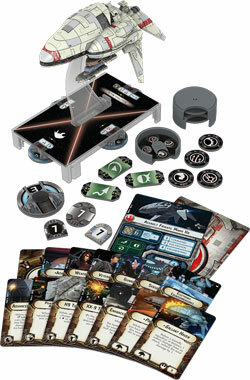 The mini, like other FFG X-Wing and Armada products, is painted top notch and is very distinctive. 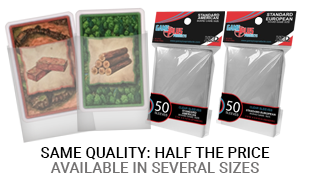 Comes with lots of upgrades that should prove essential, including a few Fleet Commanders.